two possibilities - either there is a technical error in the ATM or you have just been exposed to a fraud. In both cases, you will have to visit your bank for lodging a complaint. In case of fraud, there is procedure that has to be followed to get your money back. 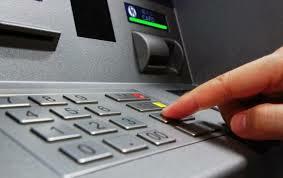 But if the problem is with the ATM, then your bank is liable to compensate you the amount you have just lost. And if a bank does not comply with RBI norms, in fulfilling the timeline for resolving your ATM transaction failure issues, then they are liable to compensate with extra sum. Firstly On-US where the issuing bank and acquiring bank are the same entity, and secondly Off - US where the issuing bank and acquiring bank are different entities.